Did you know that Dallas is a prime area for family fun? We’re talking beyond just playing hide and seek with your kids and laying half asleep in bed when it’s storytime. We’re talking about more serious outdoor activities that kids spend their entire adulthood reminiscing about. That’s because Dallas is abundant with summer activities the whole family can enjoy, thanks in part to everything ranging from historical activities, adventurous experiences, and educational tutorials; so much so that it’s no surprise that Dallas has become a hotspot for families looking for top cities to move to in 2018. This has also in part helped turn Dallas into the fourth most populated metropolitan area in the United States (making it quite the year for Dallas moving companies). With that said, let’s dig into some of the most fun outdoor activities to do in Dallas this summer, so you’ve got the perfect itinerary planned for your family! How could we not start at the Dallas Zoo? Home to all kinds of fantastic animals, including lions, elephants, hippos, giraffes, and so much more, it’s no surprise that the zoo in Dallas is a non-stop fun house for the whole family. The zoo consists of 106 acres of pure fun and magic, so you’ll have no issue whatsoever enjoying an adventure with your loved ones here. You’ll embark on a animal journey through exhibits like the Gorilla Research Center, Giants of the Savanna, Koala Walkabout, Dallas Zoo Monorall, and the Lacerte Family Children’s Zoo. The Lacerte Family Children’s Zoo includes educational and interactive exhibits that connect families with surrounding nature. This element of the enormous Dallas Zoo entails a Birds Landing (a garden with trees, shrubs, and birdbaths carved into boulders), a water-filled block called The Stream (splish, splash! ), as well as The Farmyard, where your little ones can Interact with goats, sheep, chickens. What kid doesn’t love horseback rides? Actually, better yet – what adult or kid doesn’t love a good ol’ fashioned horseback ride? Explore the beautiful Texan terrain all around you as you ride through an equestrian facility paradise. The Texas Horse Park embraces years of history and rich equestrian traditions of the beautiful state of Texas. Deep in the heart of the Great Trinity Forest (surprisingly close to downtown Dallas), the Texas Horse Park is an exciting new equestrian facility located on 302 acres consisting of engaging architectural elements in a scenic pastoral setting. Arguably one of the most unique locations in the country, the Trinity Forest Adventure Park is truly one of a kind – almost as if the question shouldn’t be what this park has for kids but what doesn’t it have! Relieve yourself of the at times fast-paced nature of our great city and reduce the stress when you “play,” “chill,” and “challenge” the day away. Have all the fun in the world when you check out 20 zip lines, 6 courses of outdoor fun, 2 free falls, multiple tree climbs, and over 70 different obstacles. Aside from the aforementioned cool aspects, there are also the real, mindful aspects: as a family, you all can feel like kids again as you envelop yourself in limitless imagination and exploration. In Dallas, there is no limit to all the fun you and your family can be having. 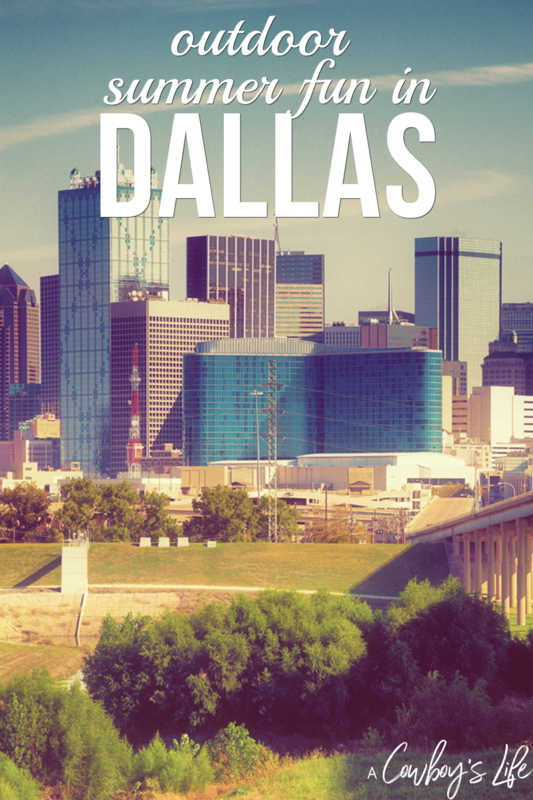 From exploring a zoo, riding horses, and going on a physical adventure, Dallas is yours to embark!